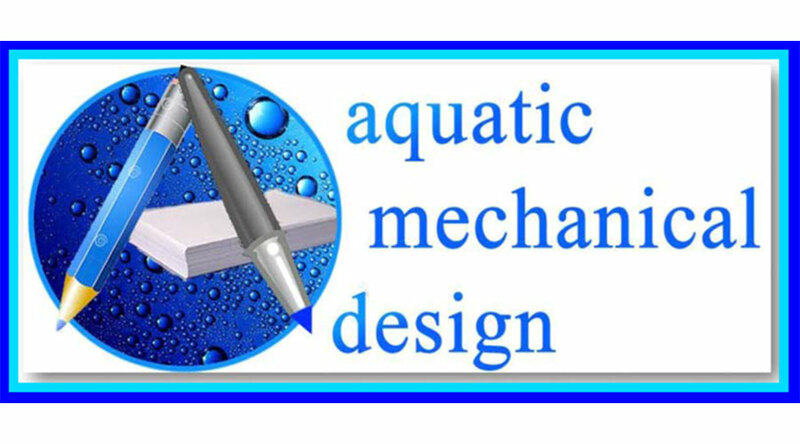 The advancements of the design Will provide the P-Sheet accompaniments that require clarifications for the construction intentions. 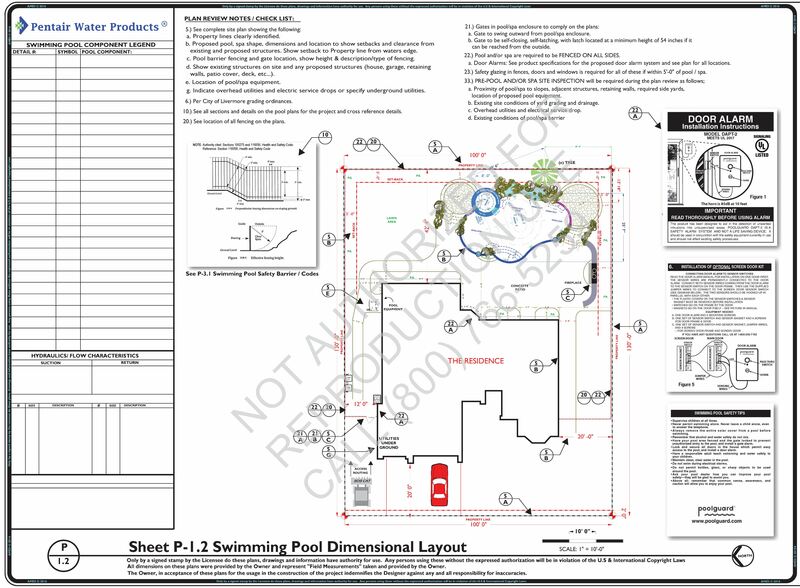 The local jurisdictional over-viewers require plans to exhibit information according to the building codes, ordinances, guidelines and regulations in order to meet approval for the issuance of a building permit. 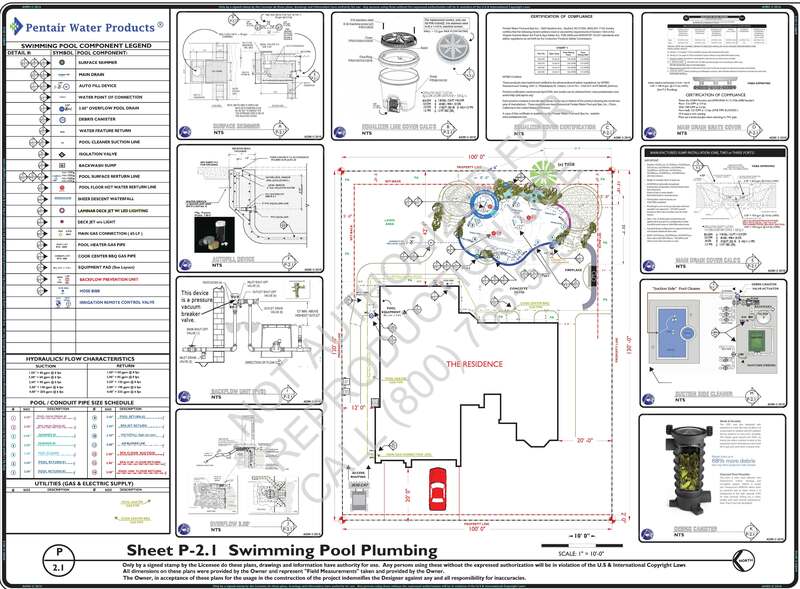 This advancing of the P-2.1 Swimming Pool & Spa Plumbing Layout will provide all locations of Skimmer, Main Drains and other plumbing components. 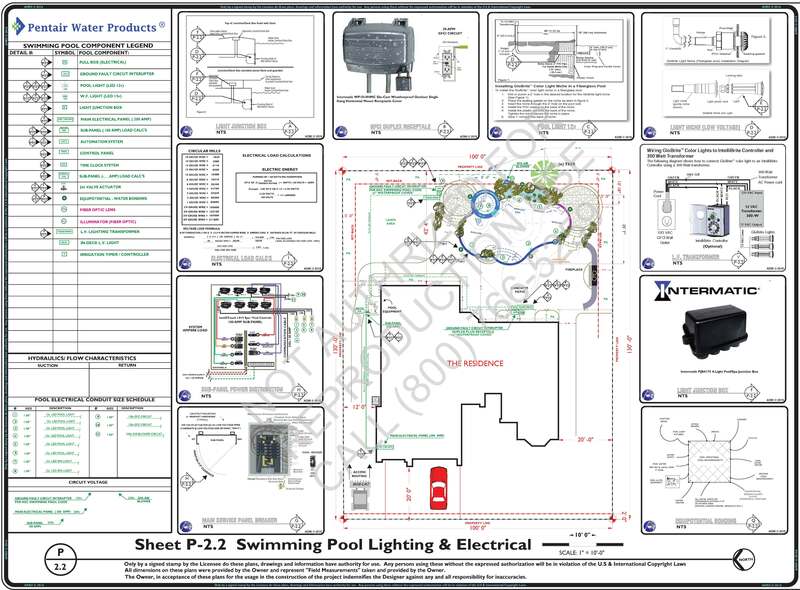 This advancing of the P-2.2 Swimming Pool Lighting & Electrical Layout will provide all locations of lights, GFCI Receptacle (s), L.V. transformers, conduit size, wire size, wire type and other electrical components. 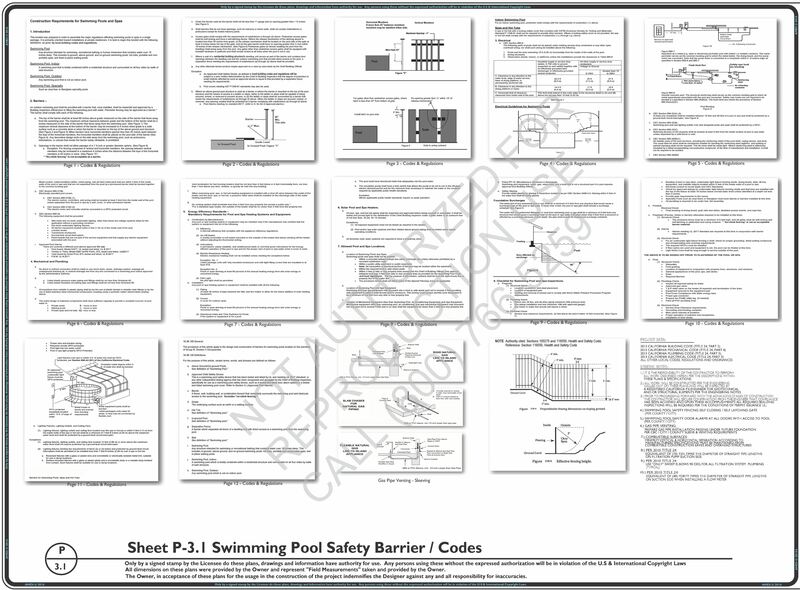 This advancing of the P-3.1 Safety Barriers / Codes will provide all information about the applicable safety regulations and building codes. 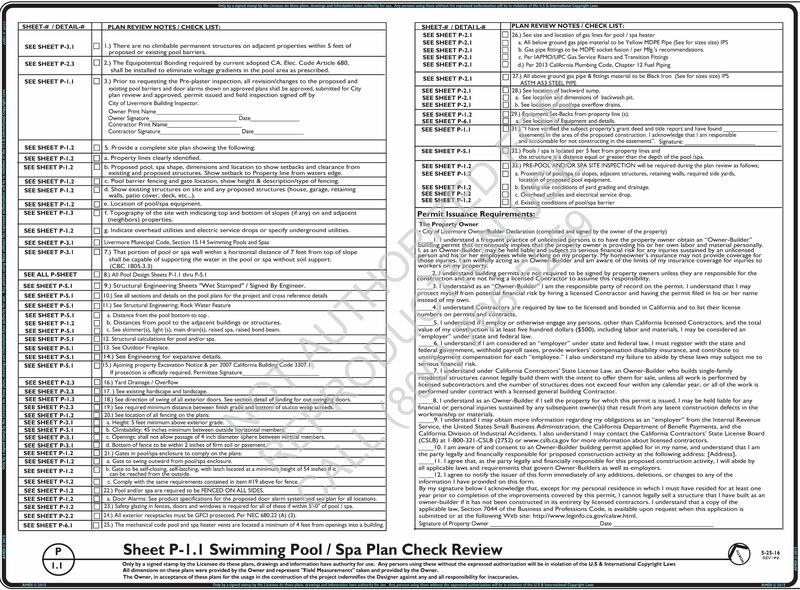 Please confirm that the Plumbing Layout below meets with your satisfaction or use the FORM at the bottom of this page to address your corrections.